Nadia Parvez Manzoor is an actor, writer and producer. She spent her earlier years in a Pakistani Muslim home in North London, and has since moved from Singapore to Dubai, from Boston to her home base in Brooklyn. 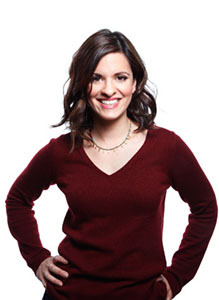 She teaches Improv and was trained at Improvolution, a Groundlings-based Improv School in New York City. She has performed regularly in the all-female Improv troupe Thirteen Degrees at various venues across New York, and has also acted in the Off Broadway play Pompa Pompa! (Theatre Row), where she played an old Cockney mother. In the past year she has created and acted in the web series Shugs and Fats. She is also a talented street dancer, and her skills include Popping, Hip Hop, Bollywood, and Bhangra. Manzoor graduated from Boston University with an MA in Social Work, where her passion was to merge the arts and social reform. Her one woman show, Burq Off!, is a manifestation of this intention. Her interests lie in asking provocative questions, and in challenging the status quo. To further fuse her interests in performance and social justice, she founded Paprika Productions, an all-female production company that produces works by brave, curious women. Tara Elliott is a director, producer, writer and educator, and has been developing and producing Burq Off!! from its ‘works in progress’ showings through it’s recent West Coast and London runs. She is committed to making theater with and for communities that lack opportunities for creative expression and aims to blur the line between performer and audience as often as possible. 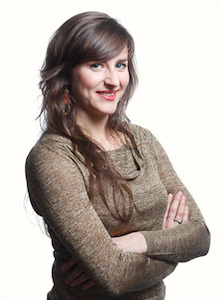 She has created and directed educational, community, and professional theater in Russia, Italy, France, Chile, Costa Rica, and in various U.S. states. Recent NYC credits include Night, Still (HERE Arts Center), Illiterates (Robert Moss Theater), The Forgotten Life of Egon Schiele (The (Un)Fair), Rise Up Singing: Women in the Labor Movement (Lehman College), New Men (Barrow Group), and Jung Girls (Brooklyn Lyceum). Her work asks questions about the human experience of shame, the cultural experience of sameness and otherness, and the use of power structures such as language, gender, class, race, and belief. Haejin Han is a stage manager and a lighting designer. She was an assistant production manager for “Brigadoon” on Broadway; she also was an assistant technical director for “Hero” at Lincoln Center, David H. Koch Theater. She stage managed at the BAM Harvey Theater for “Sweet Science Suite” and for “Horseplay Or, the Fickle Mistress: A Protean Picaresque” at LaMaMa, Ellen Stewart Theatre. She also received the outstanding stage manager award at the New York Innovative Theater awards, 2014. She works with many dance companies, Elisa Monte, Nimbus Dance Works, ITE, Francesca Harper Dance Company, Life Dance, etc. Her lighting design credits include “Sunken Cathedral” “Burq Off!” “Anna Christie” “Flyin West” “Bound” “MoM a Rock Concert Musical” “Love at Home”. Currently, she is working at the TheaterLab as a technical director and at John Jay College as a production manager. She is touring with “Burq off” as stage manager/lighting designer in the US and UK. 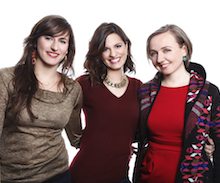 She is honored to work with Paprika Production and amazing people Nadia, Tara and Marina! Mitchell Ost has designed shows for Alvin Ailey, Joe’s Pub, The Kitchen, Symphony Space, Kaye Playhouse, New York Fringe Festival, Jenny Wiley Theater, and many other theaters across New York, Chicago, and New England. He recently designed the world premiere of Rhapsody in Swing! at the Beijing National Theater and Black Angels Over Tuskegee at The University of the Virgin Islands. J.X. Randall is a composer, producer, and multi-instrumentalist based in Brooklyn, educated at UCLA and in Iceland. First brought into theatre work by dramaturg Tom Bryant (Angels in America, The Kentucky Cycle), he has acted as sound designer, composer, or performed live scores for a variety of plays including works by Tom Stoppard, Neil LaBute, and Edward Albee. He tours and records extensively with Brooklyn-based experimental ensembles. We are a production company whose aim it is to produce authentic, socially relevant theater, film/television, events and workshops that unearth hidden truths, dispute cultural norms and dissolve stigmas. Our work energizes audiences to understand that change is possible, silence can be broken, and shame can be shaken off. 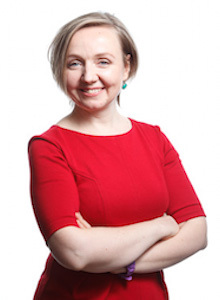 Marina Romashko is a New York City based entrepreneur who works with business leaders and creative individuals to implement project management methodologies into their growing companies. Originally from Minsk, Belarus, Marina graduated from Belarus State University, Faculty of Radio Physics and Electronics with a major in Information Systems and Management. Her extremely innovative and pragmatic approach to any venture comes from her experience both in the IT industry and as a project manager for several large corporate firms in New York and her talents lie in the fact that she is able to work with a diverse range of client needs.